Australia’s federal government is expected to announce hefty aged-care and infrastructure spending, and deliver some tax cuts as it reveals its annual budget on Tuesday, May 8. The Turnbull government also announced that it plans to return the federal budget to a surplus a whole year earlier than had been forecast. Low- to middle-income earners in Australia are set to receive an increase in tax cuts of up to $10.50 a week from tonight’s budget. The tax relief, expected to start on July 1, will come in the form of an increase in the Low Income Tax Offset (LITO) which is automatically applied when you lodge your tax return, reported the ABC. Currently, the maximum tax offset of $445 is payable to Australians earning $37,000 or less. This offset is incrementally reduced the more a person earns, and is cut off at an income of $66,667. Treasurer Scott Morrison is expected to announce a doubling in the value of the offset $1,000, reported the news broadcaster. The cut off will also extend to people earning up to $90,000. Treasurer Scott Morrison recently laughed off suggestions he would be playing Santa on Tuesday evening, warning instead that tax cuts targeting lower and middle-income earners would not be “mammoth.” The measure is expected to cost $4-5 billion a year. Return to Surplus in 2019-20? Morrison is also set to announce a plan that a senior cabinet minister said could see the budget return to surplus in 2019-20 — a year ahead of previous forecasts. In the coalition’s December mid-year review, the government forecast a $10.2 billion surplus in 2020-21, the first since 2007-08, from an estimated $20.5 billion deficit for 2018-19. According to The Australian, the forecast for 2019-20 could deliver between $2 to 3 billion in surplus. Deputy Prime Minister Michael McCormack indicated this week that the government is also expected to pay off its massive $523 billion debt by 2021, reported Newscorp. The government claimed that it had achieved $41 billion through measures aimed at repairing the budget that were introduced in 2016. These included a $5.5 billion bank levy, $4.6 billion in tobacco excise, as well as $4.1 billion in high-income superannuation limits. The budget repair measures also targetted benefits and welfare, where over $1.3 billion in spending was cut from a freeze on the family tax benefit indexation. The eligibility for the disability pension was tightened, and the number of job seekers receiving Newstart and youth allowances was reduced by 5.5 percent, reported Newscorp. The government’s increase in the Medicare levy, worth $8.2 billion over three years, did not pass the Senate. Neither did the tax cuts to large companies, which would see company tax reduced from 30 to 25 percent over the next decade. Baby-boomers can expect an announcement for a multibillion-dollar aged-care and retirees package, which will include 20,000 extra home-care places to enable older Australians to stay in their homes for longer and providing retirees with incentives to start businesses, reported The Australian. The anticipated package will be funded by the $41 billion in legislated budget ­repair measures. Morrison will for the first time include an official aged-care statement in the budget aimed at repairing the electoral damage caused by the past $2 billion in cuts to the aged-care budget, where seniors were hit by superannuation tax and pension changes. More than 100,000 people are already on the priority waiting list for home-care places, reported the newspaper. The home-care packages are expected to be offered in four levels where older Australians will be provided with support for personal care, meal preparation, and household chores. The budget is also expected to include an increase to the work bonus program that currently allows aged pensioners to receive $250 a fortnight without affecting the rate of their pension, and expand the Pension Loans Scheme, which allows self-funded retirees to increase their income by borrowing against the value of their home. 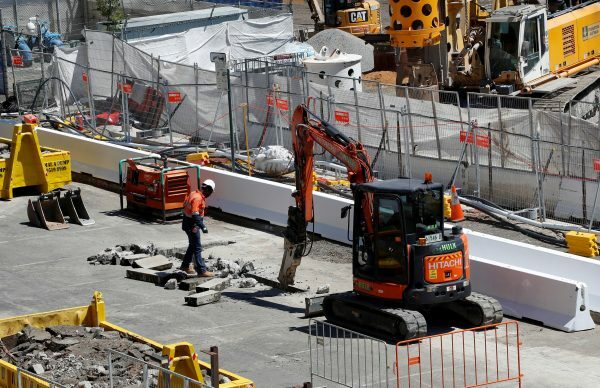 The largest project to be funded will be the rail link to connect Melbourne’s airport to the city, which will cost $5 billion, reported ABC. Other projects include a number of major roads and highway upgrades in Queensland such as a $3.3 billion upgrade for the Bruce Highway, $3.2 billion for road projects in Western Australia such as extending the Mitchell Freeway, and $400 million in Sydney for the Port Botany Rail line project. Last week, the ABC reported that the government was also looking to unveil “seed funding” of $50m to establish an Australian space agency. “The plan for a stronger economy that I’ll be announcing tonight is about improving the opportunities for all Australians to live in a stronger economy,” Morrison told reporters as he arrived at Parliament House early on Tuesday, May 8.